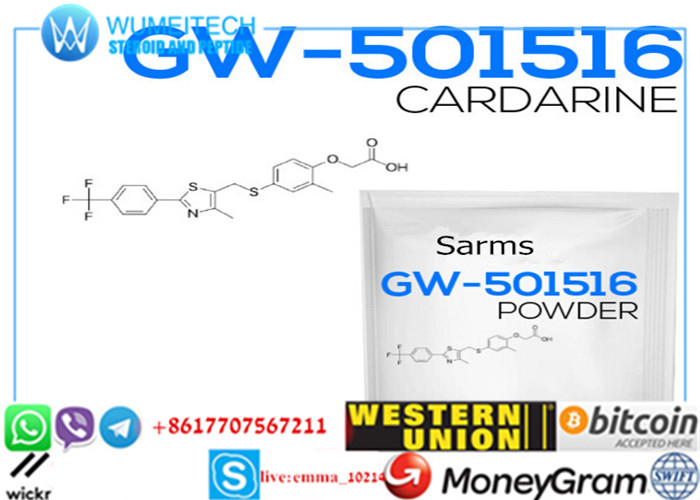 There are two main uses with GW-501516. The first and most common use is that of increased endurance. GW has been banned for professional athletes due to the unfair advantage it provides to endurance athletes. Anyone want a drastic increase in endurance will find that GW truly shines in this aspect. It takes effect very quickly and the results can be staggering. A common dose of 10 mg day will provide a significant increase in endurance. The second common usage with GW is that of fat loss. Many users turn to GW as it has shown to melt off fat while still being non-catabolic. You will find that you can still hold on to some muscle as you are losing fat. It helps when you are running it in conjunction with SARMS Ostarine and S4, to hold on to as much muscle as possible. A dosage of 10 mg a day will provide good amounts of fat loss, but an increase to 20 mg a day will provide much more in this area. 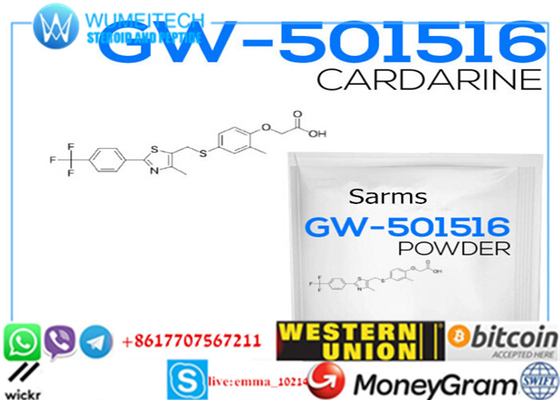 GW501516 (GW1516 or GSK-516) is a drug that acts as a PPARδ modulator. GW 501516 activates AMP-activated protein kinase and stimulates glucose uptake in skeletal muscle tissue, and GW 501516 has been demonstrated to reverse metabolic abnormalities in obese men with pre-diabetic metabolic syndrome, most likely by stimulating fatty acid oxidation. It has been proposed as a potential treatment for obesity and related conditions, especially when used in conjunction with a synergistic compound AICAR, as the combination has been shown to significantly increase exercise endurance in animal studies. In terms of obesity, cardarine reverses metabolic abnormalities in obese and pre-diabetic men by stimulating fatty acid oxidation. That is, it burns fat by increasing glucose uptake in skeletal muscle tissue, which changes the body's metabolism to burn fat for energy instead of muscle or carbs. Incredibly, it does all this without dropping blood sugar levels like diabetic drugs do. Interestingly, when mice were given a high fat diet, they still lost fat, which proves that cardarine prevents obesity.